Who can resist the sparkling allure of sequins? 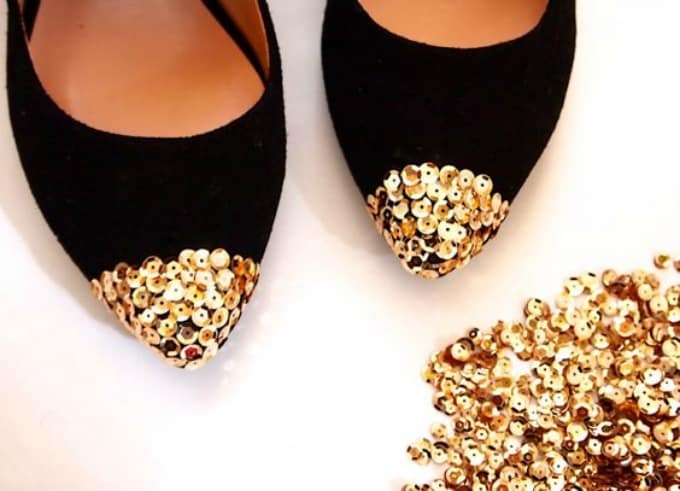 When it comes to creating your own crafty goods, we have one piece of advice: Just add sequins! 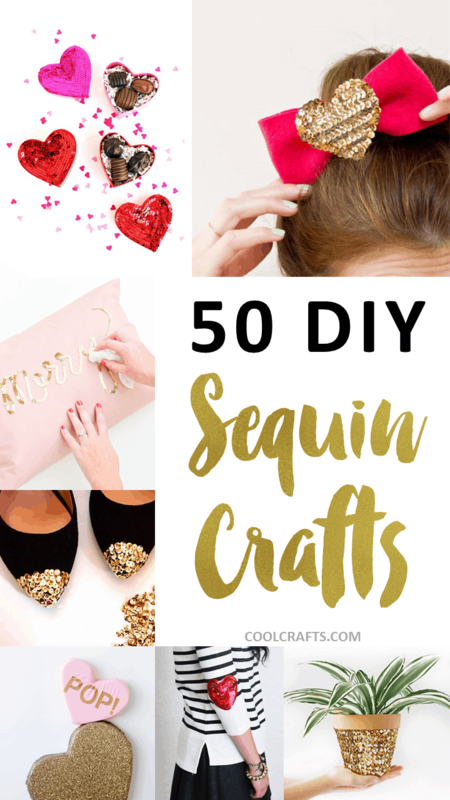 We’ve rounded-up 50 dazzling DIY sequin craft projects containing this much-loved material, from stylish cushions to shiny accessories, adorable toys, and everything else in between. 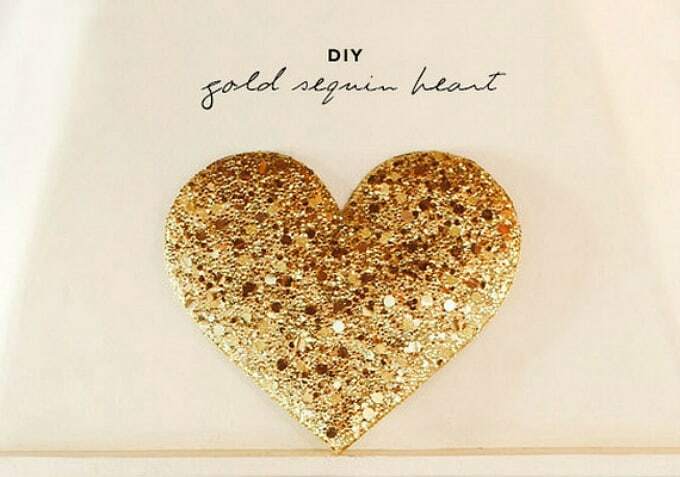 Fancy showcasing this gorgeous gold sequin heart on the wall next time you entertain? We think it’d look perfect placed behind your dazzling dessert table, so be sure to check out this tutorial from 100 Layer Cake. 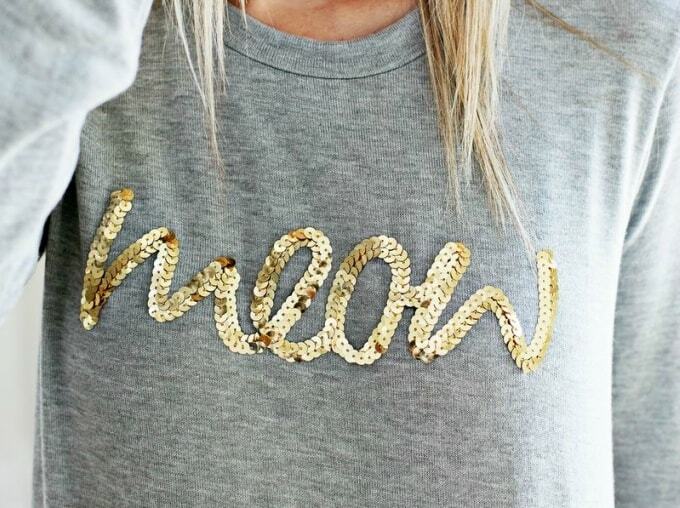 Feline (and sequin) lovers take note! 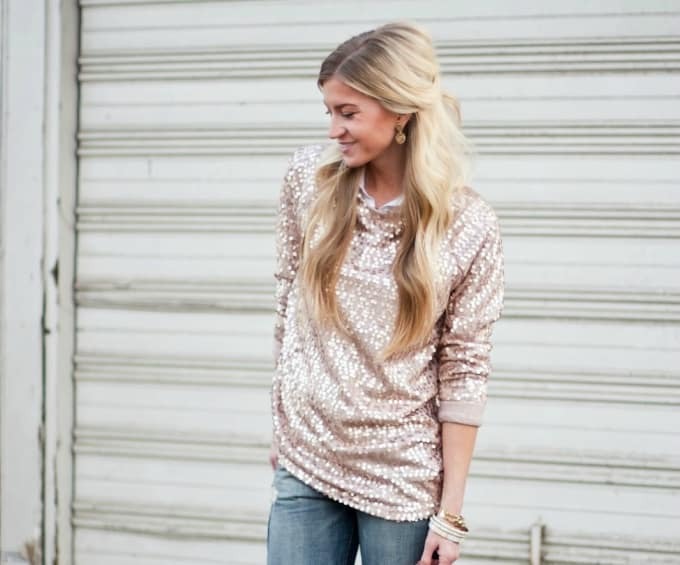 A Beautiful Mess has created this wonderful DIY sequin slogan sweater tutorial just for you. Meow! 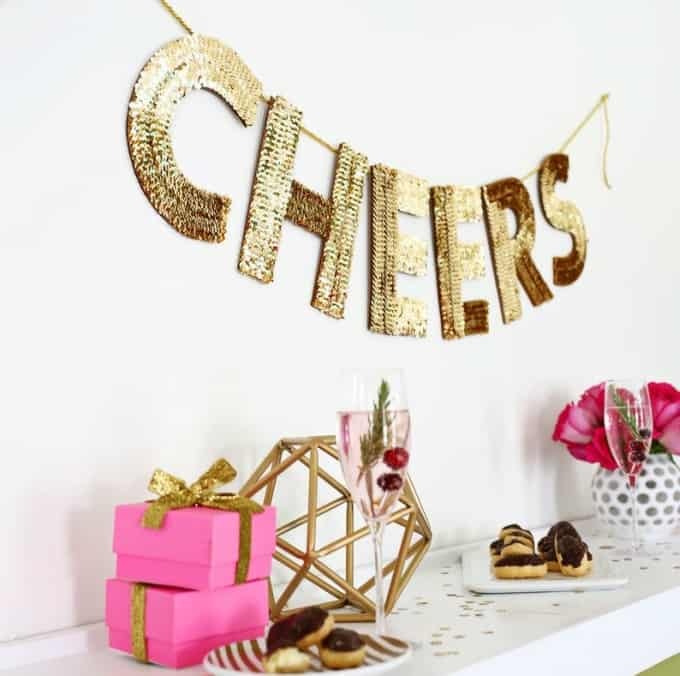 There’s just nothing like a sequin phrase garland to really get the party started. The talented girls at A Beautiful Mess will show you how to recreate this masterpiece. 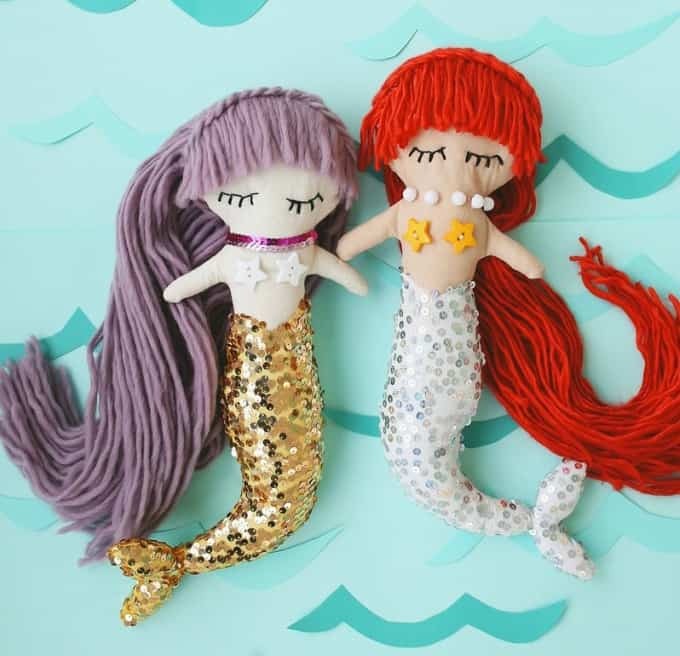 Do you know a little girl who would absolutely love these sequin-tailed mermaid dolls? They look incredibly professional, but thankfully this tutorial from A Beautiful Mess shows you just how easy these are to create. 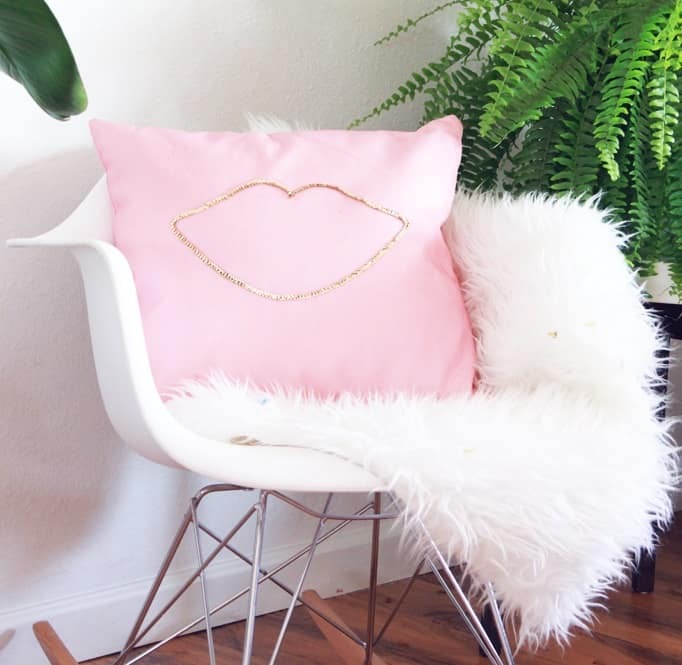 Add that little touch of bling to your surroundings by making a sequin lips cushion, just as A Bubbly Life has done. 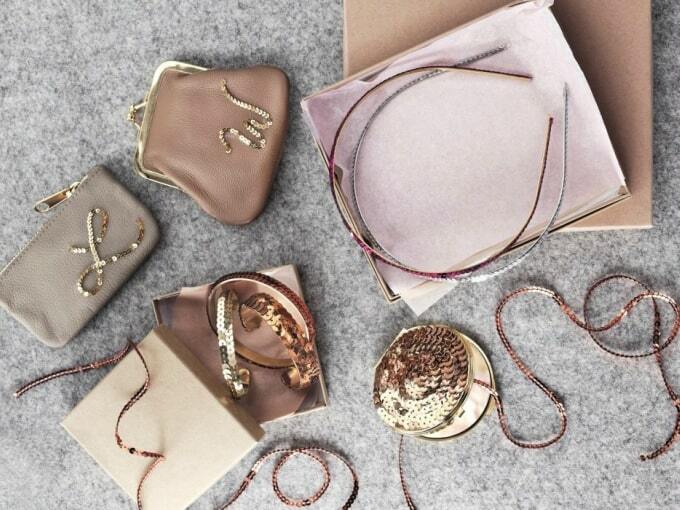 Pink and gold is a beautiful combination, isn’t it? Sequins and snowflakes go together like peanut butter and jelly, plus they’re the perfect way to jazz-up your Christmas tree. 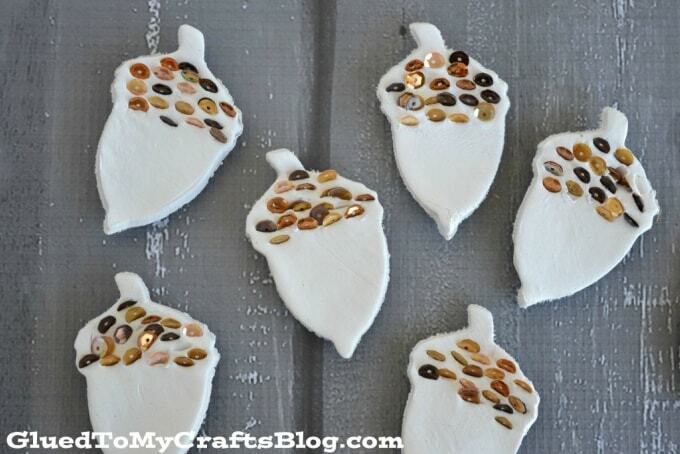 Check out this wonderful guide from American Felt and Craft to see how to recreate these! Tired of your old, worn-out denim shorts? A Pair and a Spare has the perfect tutorial for you, as she has transformed her shorts into a sparkling, gold work of art! Here’s the perfect way to cover up a sweater with a hole in the elbow, or even just to transform it into something totally luxe – add a sequin patch of course! A Pair and a Spare will show you how it’s done. 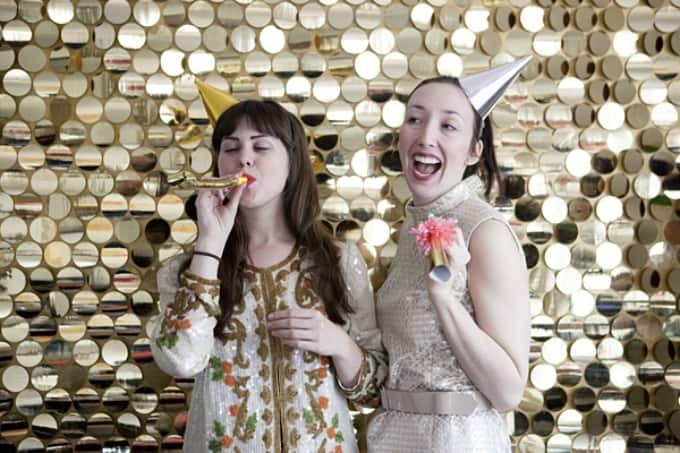 These DIY sequin birthday crowns by A Subtle Revelry are so out of the ordinary that they’re magnificent! 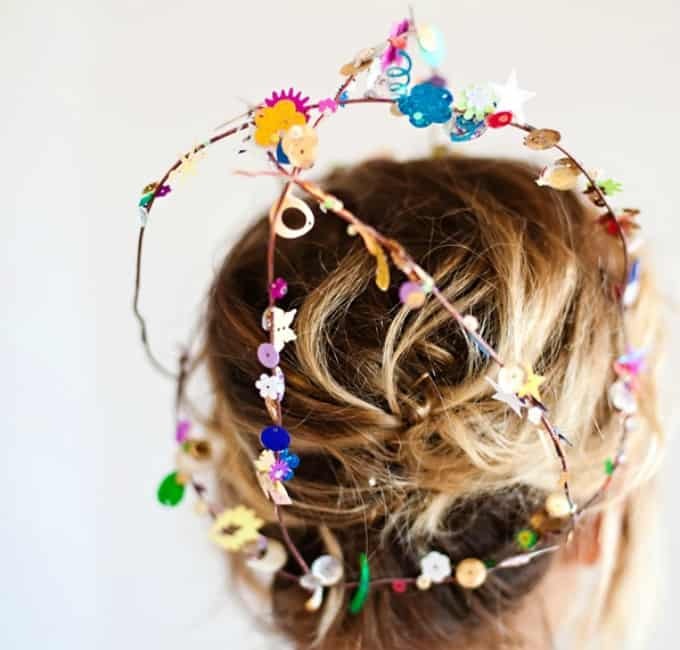 What birthday princess wouldn’t want one of these colorful and joyous creations perched on her head? Sequin hearts have an unwavering appeal for most, so imagine having them as handy little clips to use on everything from your hair to shoes, gifts, handbags, and anything else you can think of! Be sure to check out Benzie Design’s DIY guide. 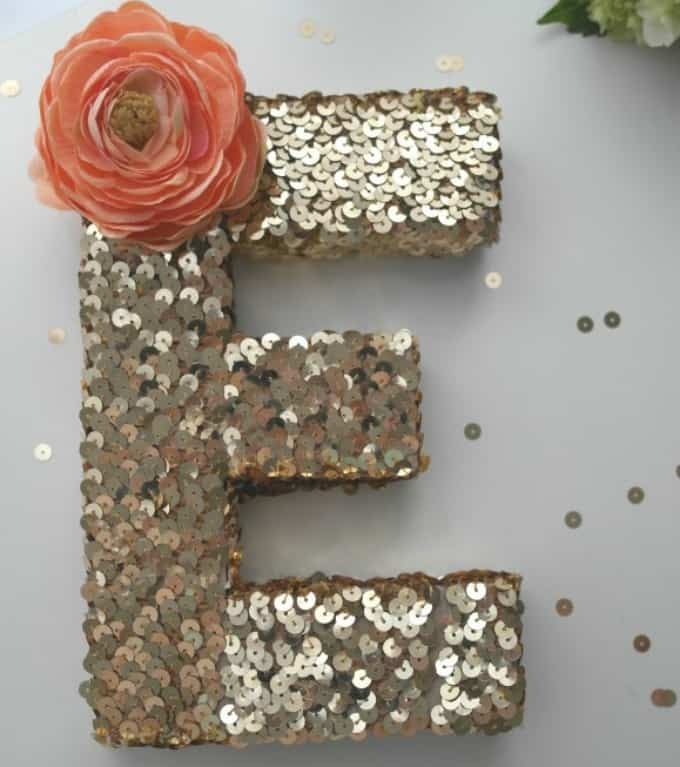 A sequin monogram letter is just the thing to make someone feel special on their big day – whether it be their wedding, graduation, or even birthday! Catch My Party is the talented blogger behind this great tutorial. How’s this for a dream office? 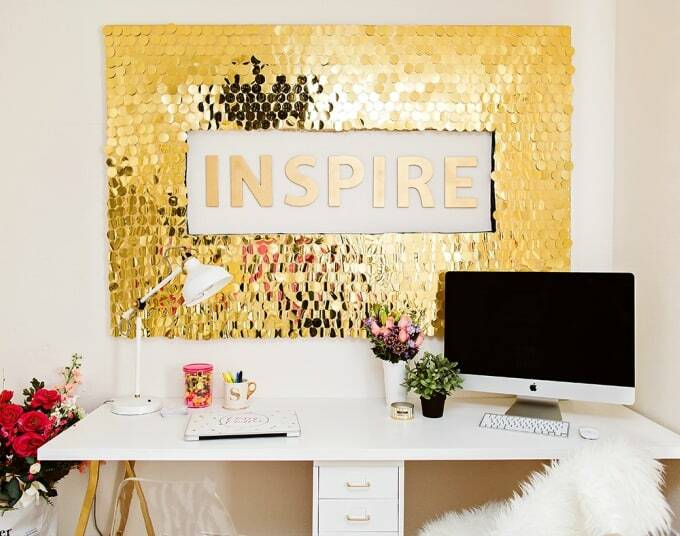 Classy Clutter has been clever enough to add a sparkling gold sequin wall to this workspace and it’ll absolutely blow your mind! 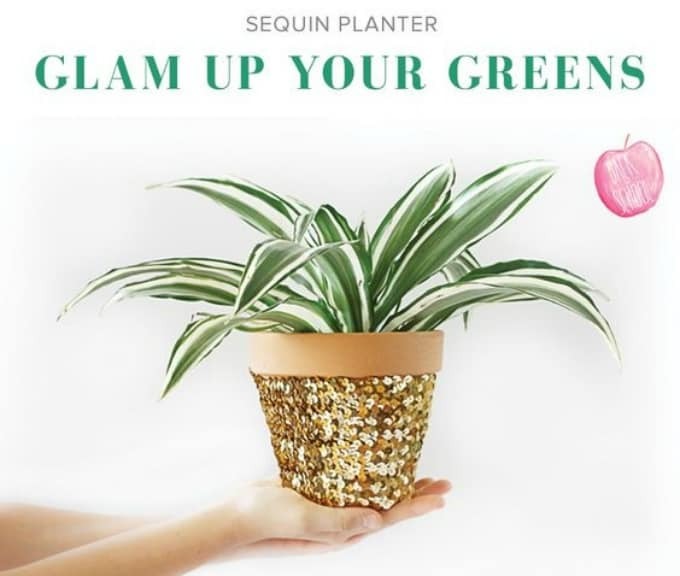 We love this idea of ‘glamming-up your greens’ – don’t you? Darby Smart has an insightful tutorial to help you achieve this look. 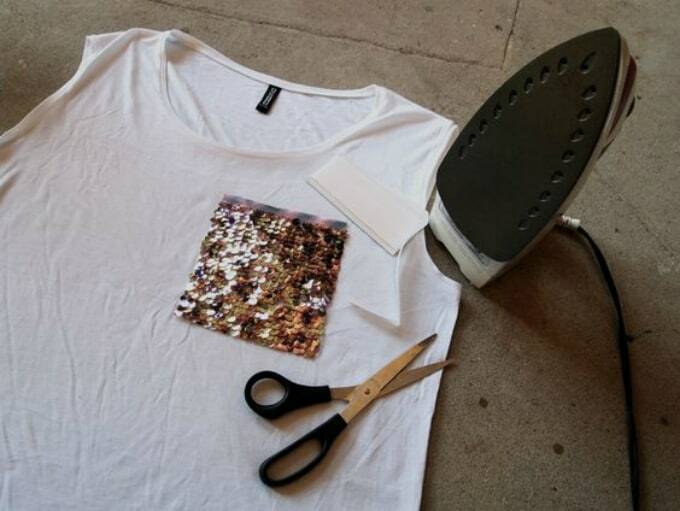 Transform a plain and boring sweater into this sequined work of art, thanks to this fashionable tutorial from Elle Apparel Blog. You won’t want to miss it! 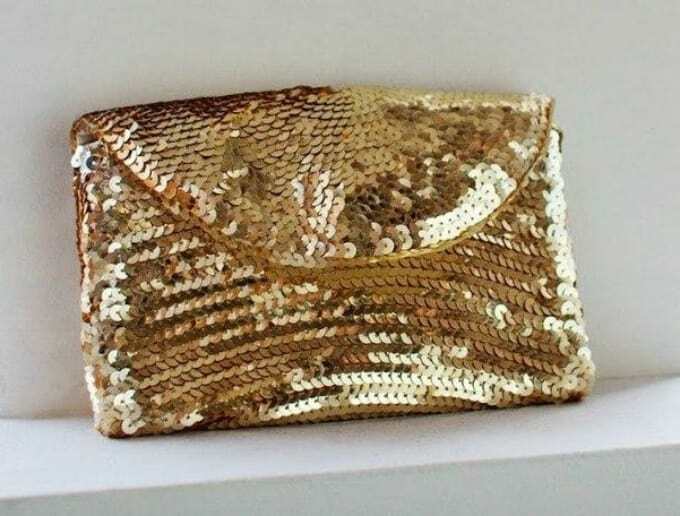 The best thing about a gold sequin purse is that it matches with basically every color or outfit choice. Wedding? Tick. Birthday party? Tick. Going out to dinner? That’s another tick! Check out Fab DIY’s tutorial to recreate your own. Where do we begin? Flax and Twine got very ‘sequin-happy’ and recreated several wonderful tutorials, including headbands, monogrammed purses, and bangles. Find out more through visiting her tutorial. 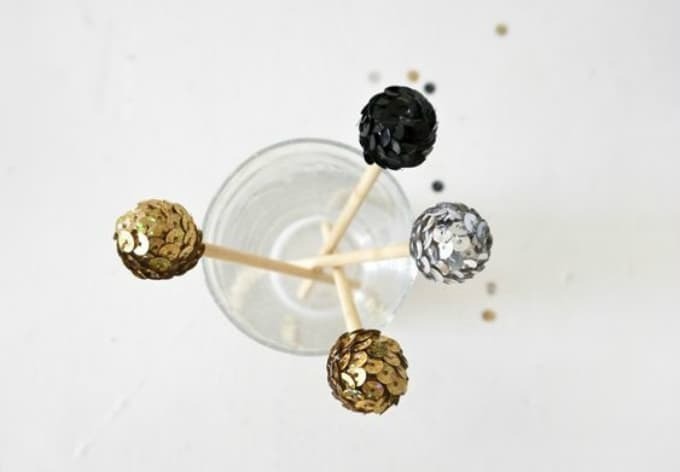 These swizzle sticks are far from boring! Freut Cake has transformed her basic wooden sticks into the most glamorous, sequin-clad versions. Delightful! 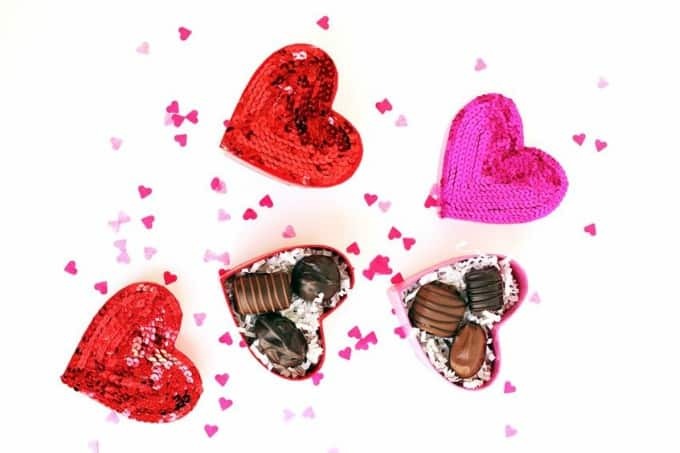 Could there be anything better than receiving one of these DIY sequin heart boxes on Valentine’s Day filled with chocolates? We think not! Freut Cake will walk you through the process of creating your own. These acorns pack some serious bling! 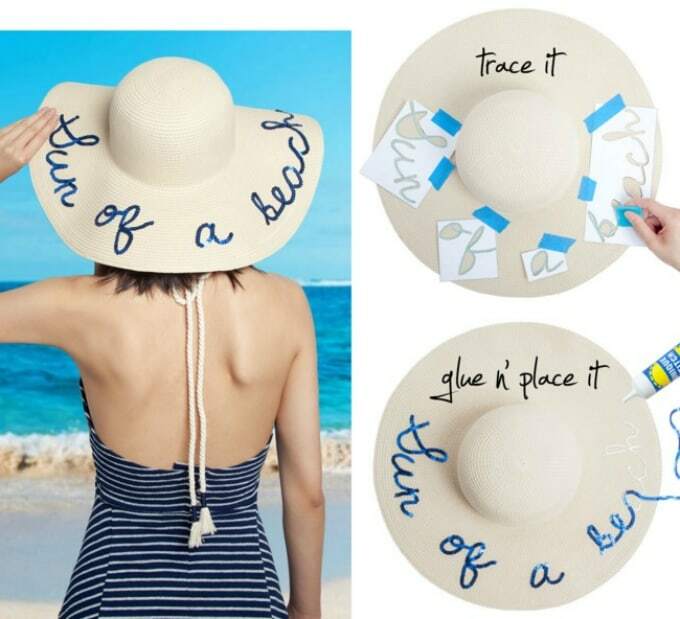 Glued to my Crafts has come up with this unique and wonderful idea, so you won’t want to miss the step-by-step tutorial. This gold sequin wreath is a real show-stopper. Not only is it the perfectly understated alternative to traditional pine Christmas wreaths, but it’s also delightfully simple to make by following this tutorial from Hello Yellow Blog! Cushions can totally transform a space from drab to fab, so imagine adding some sparkle into the mix too! 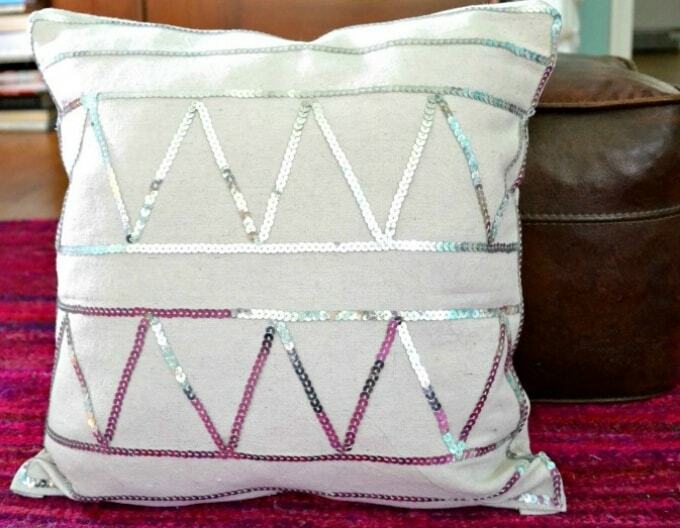 Houseologie has a wonderful step-by-step guide to help you achieve making your own sequin-clad cushions. 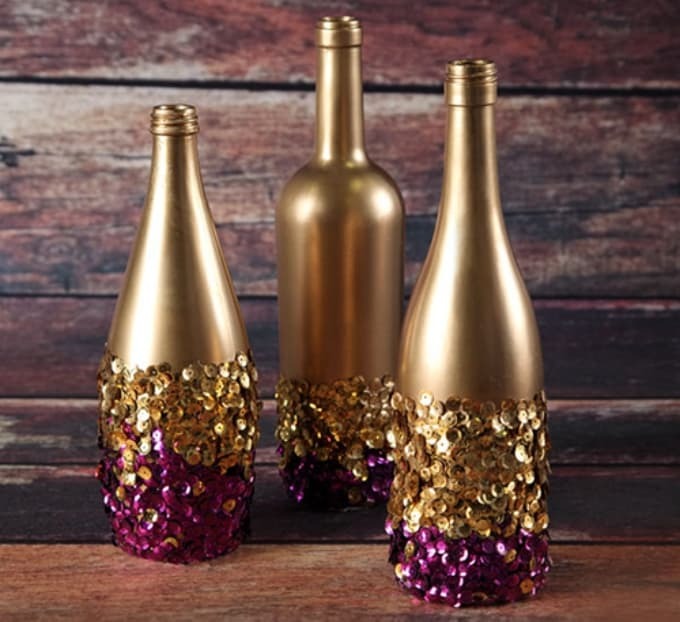 These sequin bottles are the perfect centerpiece for any occasion, even if you simply wish to display them in your home all-year-round. 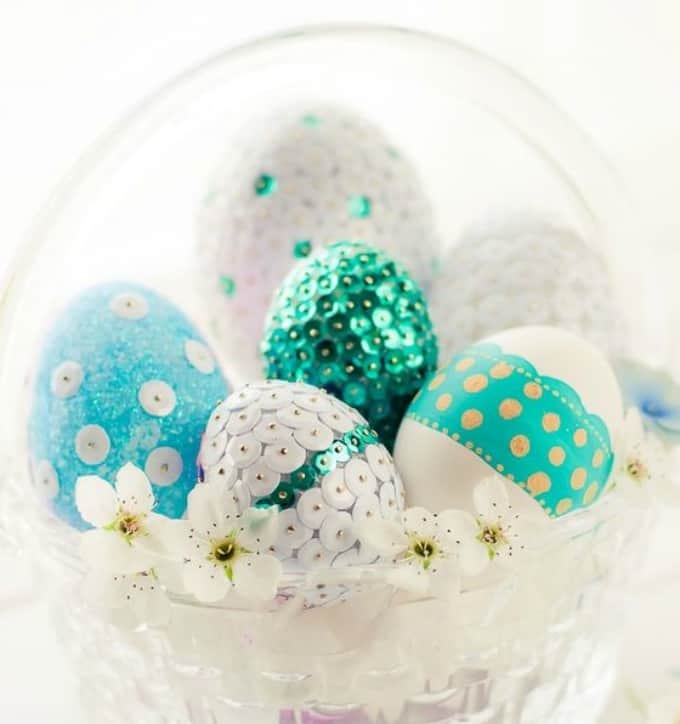 I Love to Create Blog is the talent behind this beautiful DIY craft tutorial. How do you make a flower using sequins? Just Between Friends has been kind enough to answer that question with a full craft tutorial, so be sure to take a peek! Perfect for both adults and children alike, this sequin bow is sure to attract plenty of admirers. Want to make one for yourself or a loved one? Keeping Up with the Morgans will show you how. 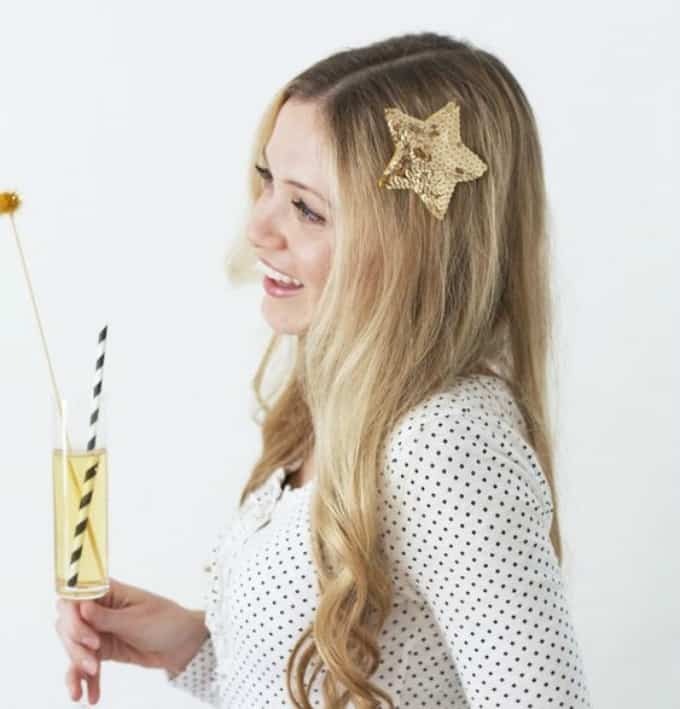 We’ve fallen head-over-heels for this DIY sequin star hair accessory and we’re sure you can see why – it’s gorgeous! Kristi Murphy has thankfully shared her creation secrets with everyone on her blog.